Have you been feeling concerned about the durability and performance of your roof? Thinking of the right shingles to install? 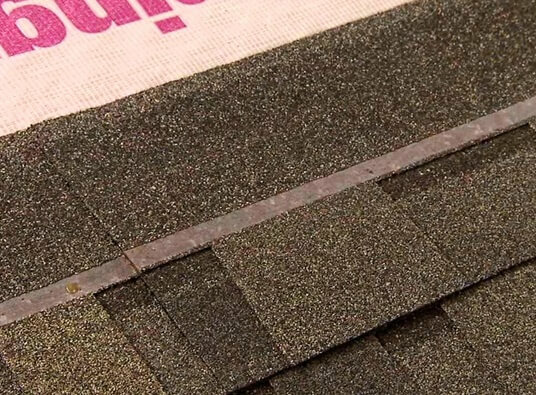 Kroll Construction is proud to offer Owens Corning™ Duration® Series Shingles, which come with the patented SureNail Technology. This unique, innovative system for roof shingle installation provides superior protection for home like yours. What Are the Features and Benefits of Owens Corning’s SureNail Technology? Once you choose the Duration Series roof shingles for your home, you automatically get the fastening technology that comes with it. ● Two layers of shingles overlapping plus a strip of tough woven reinforced fabric tape form a type of triple layer protection not offered by Michigan roofing companies other than Kroll Construction. ● The wide woven fabric tape is intended as a nailing strip, engineered and designed so that installers work fast to finish your roofing project without sacrificing consistency and quality. ● Tape adhesion is achieved with Tru-Bond®† sealant for unqualified strength in each shingle’s holding power. All these features combine to protect your roof with enhanced pull resistance, fastening holding power, and outstanding adhesion against wind resistance up to 130 mph. As one of the top local roofing companies in Michigan since 1961, Kroll Construction takes pride in its work and makes sure to build a lasting relationship with clients. We are composed of a team of dedicated contractors, working in the Michigan area for half a century. We are trained and certified by the companies whose products we represent, so when you hire us for the job, you can expect only quality work. We take pride in our skills with roofing, windows, siding, and other home improvement needs like insulation, gutters, kitchens, and baths. We are also proud to be of assistance to the home improvement needs of Livonia, Westland, Dearborn, Dearborn Heights, and Garden City. Give us a call at (888) 338-6340 for a free quote and consultation. We’ll be glad to help you take your home to the next level.